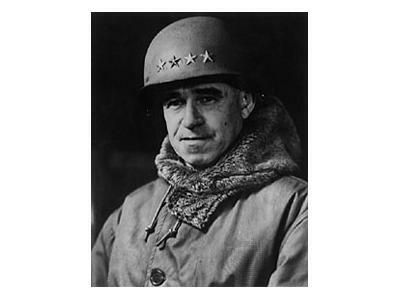 · Bradley, not Patton, deserves most of the credit for American victories in Africa. · Bradley (rather than Patton or Eisenhower) was responsible for the integration of air, armor, and infantry power into WWI – a key to the Allied victory, which is usually credited to Patton or Eisenhower. · Bradley’s field conduct earned him the reputation “GI General.” He once gave his overcoat away to a freezing soldier in a field, saying it would be easier for him to find a replacement. · Bradley often used his personal rifle to take shots at enemy planes and, while he realized that he had little chance of hitting the aircraft, he believed it was good for the morale of both him and his troops. Jim DeFelice is an award-winning writer, former political columnist, and prolific, bestselling author of more than three dozen military books and spy thrillers. His previous works explore the effects of war, politics, terrorism, and technology on soldiers and civilians. DeFelice lives with his family in Warwick, New York.